We exist within the community creating visually arresting and exciting shows aimed at stimulating every audience. Besides operating as a theatre ensemble, we also offer bespoke drama and puppetry facilitating sessions and puppet and mask making workshops mainly using recyclable materials to suit every participant. Cherry trees school BESD, Trinity school SEN, Manor School Stratford, Malcolm School Croydon, Centre 404, Green Shoes Arts, NHS, Bubic, Cardboard citizens, Crisis, St Mungo’s, Street Style Surgery, City of London Festival, Lollibop Festival, Thames Festival, Little Angel Theatre, Croydon Youth Art, Stevenage Valley School, Kith and Kids. We are able to provide valid CRB/DBS checks and public insurance liability certificates. 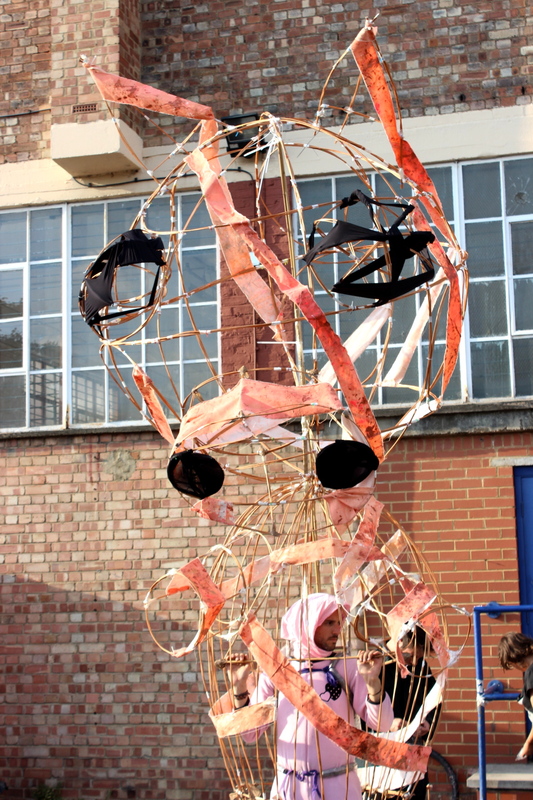 Giant puppet making workshop and final performance at Bermondsey space today.